����������� Foodborne illnesses are caused by bacteria, viruses and parasites that are present in foods and beverages consumed by people. Symptoms of foodborne illnesses are upset stomach, diarrhea, vomiting, fever, abdominal cramp and dehydration. Although in many cases foodborne infections are undiagnosed by doctors, the center for Disease Control and Prevention approximates that more than 76 million people each year experience foodborne illnesses in United States.� Out of these 76 million people, five thousand lose their life . 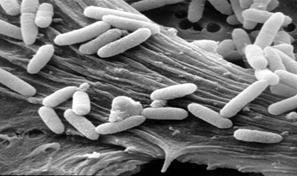 ����������� Bacteria that maybe present in raw foods are the main cause of foodborne illnesses. Raw foods such as raw meat and poultry are not sterile and maybe easily contaminated during slaughtering and processing. Food products such as tomatoes, potatoes, eggs, spinach and lettuce could become contaminated with bacteria such as Salmonella, Shigella, or Escherichia coli (E. coli) O157:H7 . In order to detect microbial pathogen in food or water high sensitivity, specificity and speed is required. 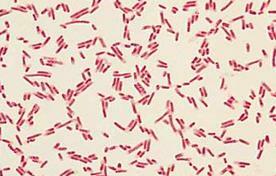 Sometimes presence of few bacteria in food or water could lead to a disease; therefore, a system with high sensitivity is in demand to detect such organism in small numbers. Obtained samples usually consist of organic and inorganic substances. Thus, in order to prevent false positive results, our system must have high specificity as well. Obviously speed is one the most important factors when it comes to diagnosis and detection because we want to detect microbial pathogens as early as possible . In recent years, numerous biosensor based tools are developed especially those of optical biosensors which show promise in rapid and sensitive detection of foodborne pathogens. Fiber optic biosensor is one of the most widely used optical sensors that have been used for detection of pathogens and toxins.